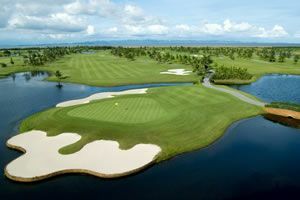 Handara Golf & Resort Bali must be one of the most astonishing golf courses on Bali if not around all of South East Asia. 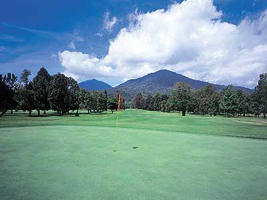 The Bali golf course is set in the lush highlands of Bali and nestled in the crater of a volcano in the mountains of Bedugul; a 2-hour drive from Nusa Dua and 1 hour from Ubud. The long journey is worth it. 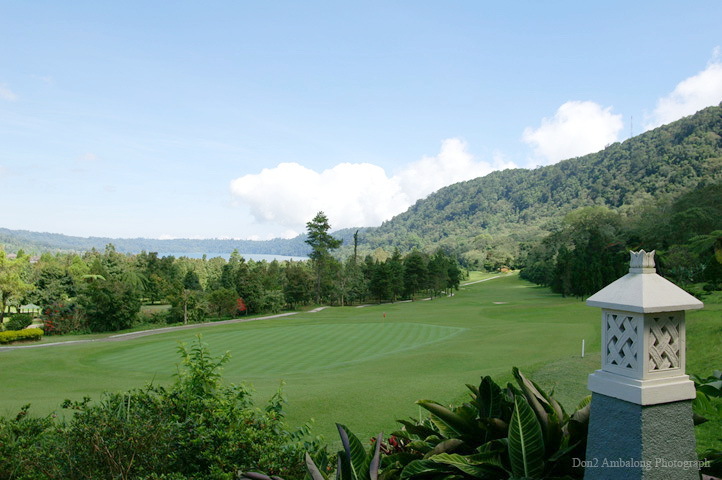 From the low coastal regions, the road to the golf course winds around traditional Balinese villages, rice paddies and ascends towards the volcanic mountains. 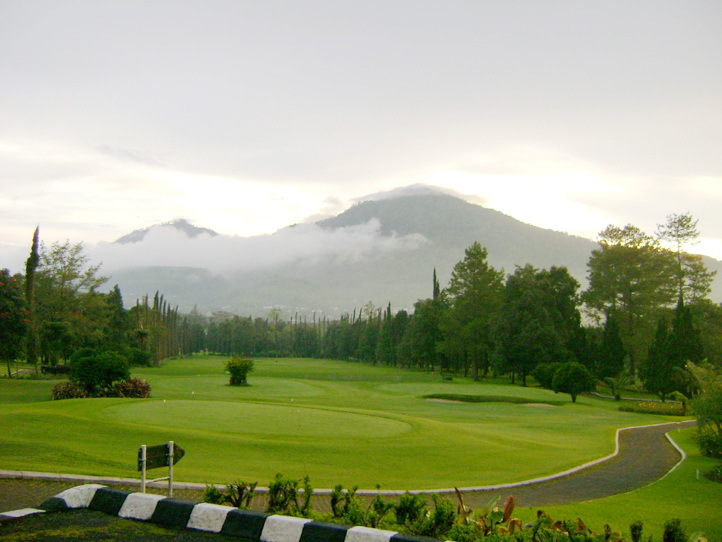 The entrance to the Bali Handara Golf & Country Club Resort is just past the Lake Bedugul. 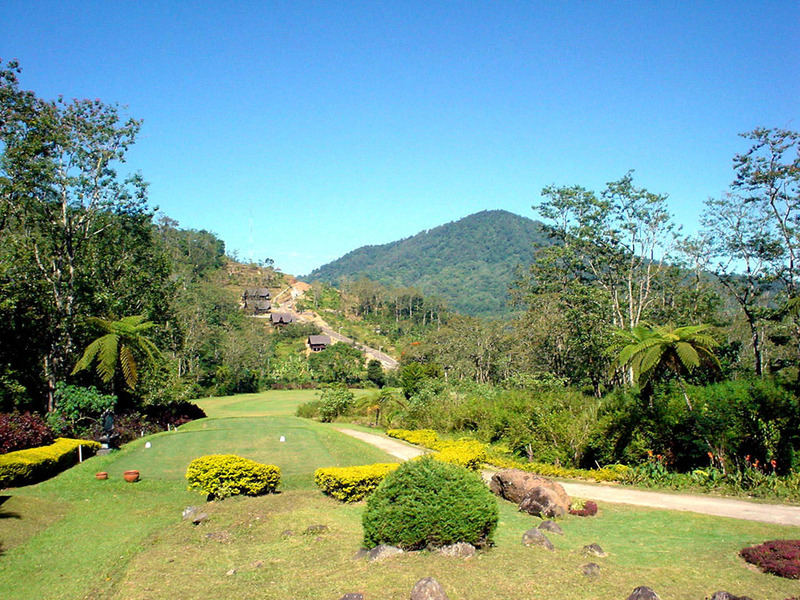 This Bali golf course located on an altitude of 1,142 meters (3,750 feet) above sea level and temperatures moderate between 14 and 20 degrees Celsius. 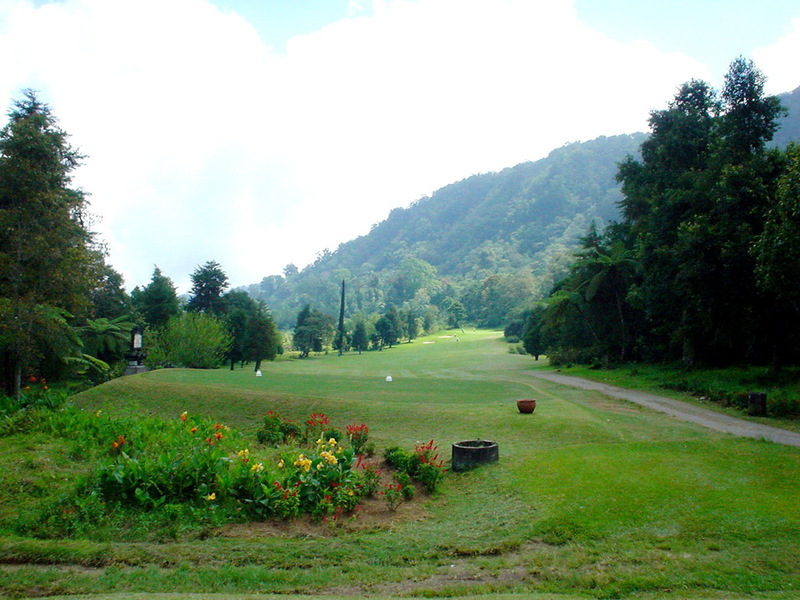 The golf course is pleasant to play due to mild heat and the overwhelming view of the lush tropical forest. 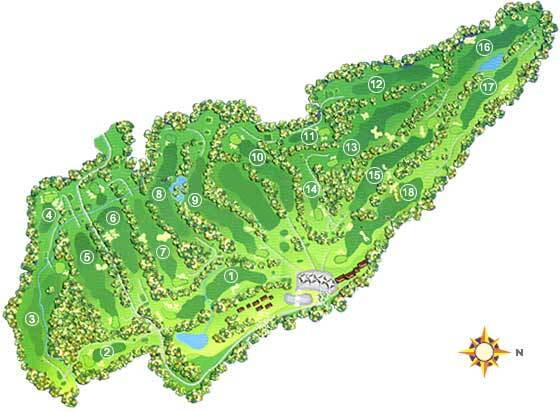 The 18-hole championship golf course designed by Australians Peter Thompson and Michael Wolveridge in 1974. 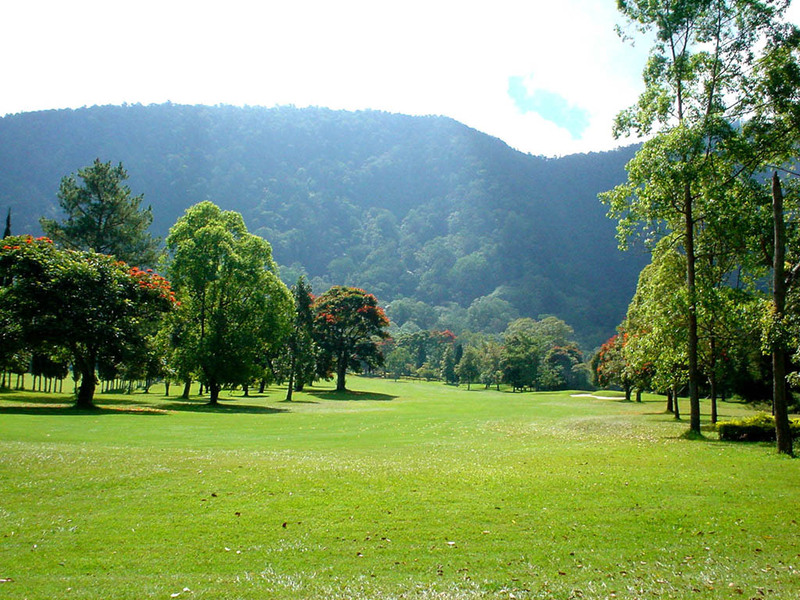 Mature tree-lined fairways, indigenous flowers, and Bent grass greens characterize the layout. Notable holes include the 3rd, long 435 yard par-4 that plays downhill to a 90-degree dogleg to the right. 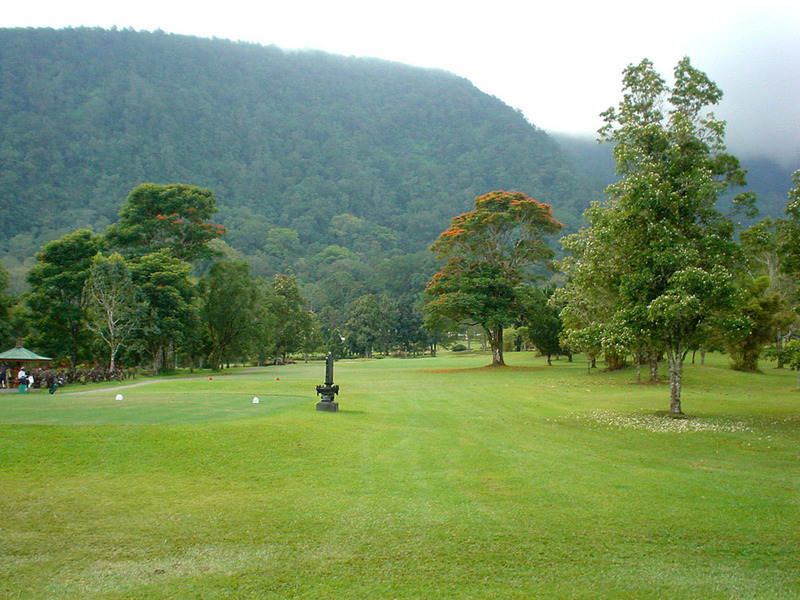 The creek along the right side of the fairway prevents cutting over the dogleg, and bushes well guard the left side. Driving accuracy is a must to par this hole. The second shot must carry across the water with a long iron to the green. Another par-4, the 7th plays 375 yards uphill, and a dogleg left. The hole is lined on both sides by orange flowering trees that make you feel like you are hitting down a long shot in a real golf tournament. The par-3 14th is the signature hole at 203 yards. 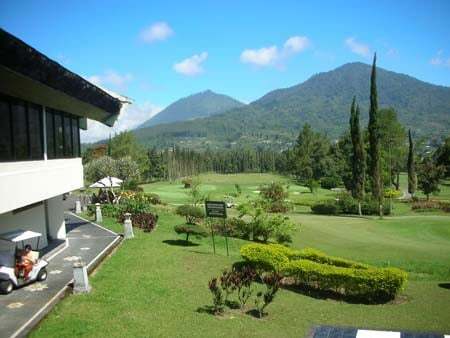 Hitting to an uphill green with huge mountains in the background make you appreciate how special Bali Handara is. The finishing hole a 560 yard par-5 plays downhill on the drive and then uphill to the clubhouse for the second and third shots. Fairway bunkers come into play on the tee shot and once successfully past them you are set up for an excellent birdie opportunity. The 300 yard driving range is an excellent place to warm up. 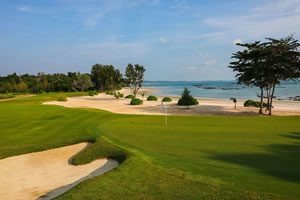 Additional practice facilities at Bali Handara include three putting greens, chipping area, and several bunkers to test your sand skills before the round. 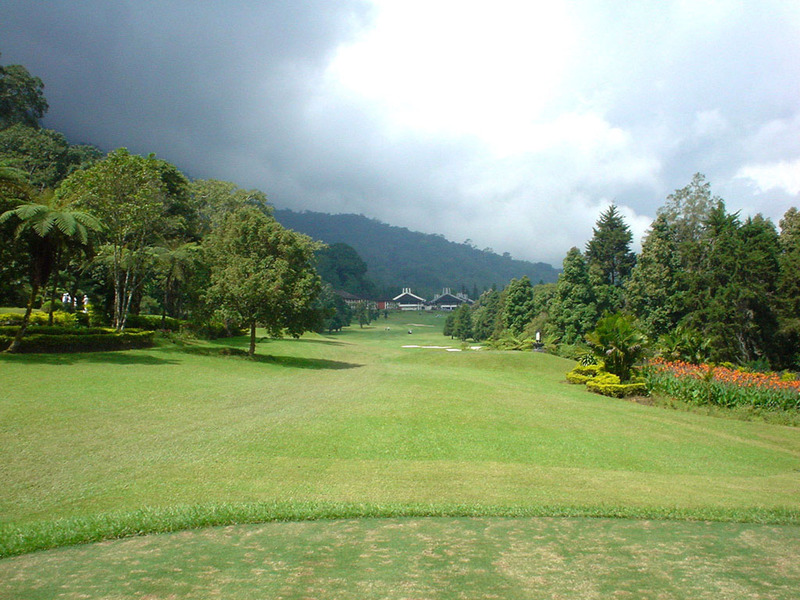 The clubhouse, while quite dated, is adequate and features an Japanese restaurant. However, for those looking for something more local, there are some Indonesian restaurants 10 minutes from Bali Handara overlooking Lake Bedugul. 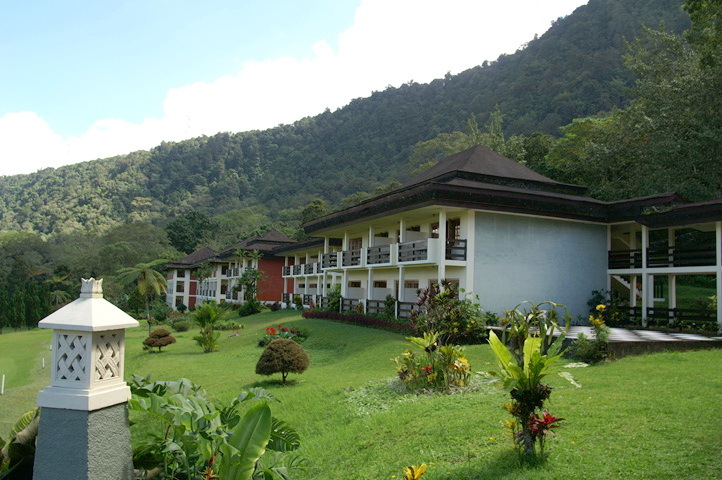 Handara hotel with bungalows and even villas needs repairs significant renovations. 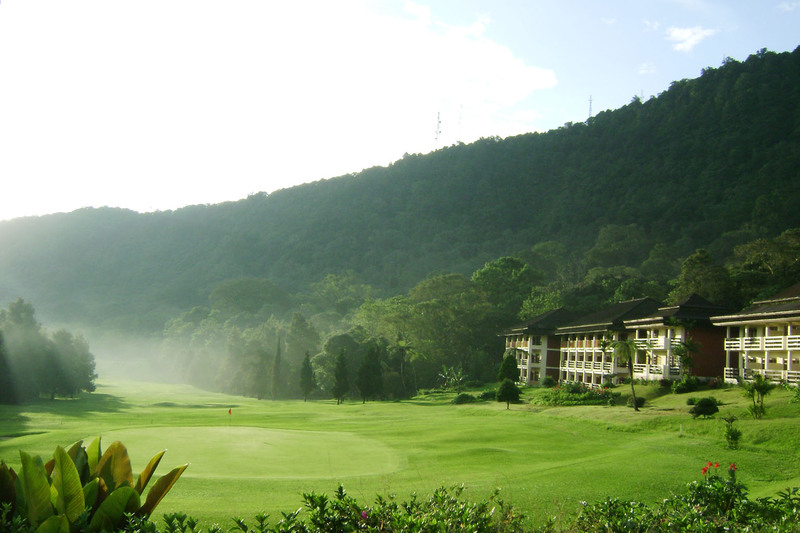 Nevertheless, a day at Bali Handara Golf & Country Club Resort makes for a relaxed round of golf in an exotic natural setting. 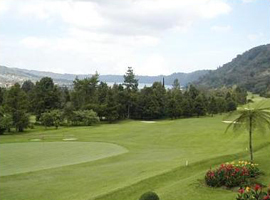 Have you played golf at the Handara Golf & Resort Bali and took some nice photos that you would like to share with other golfers? Send them to us and we may upload them here. Thank you in advance!